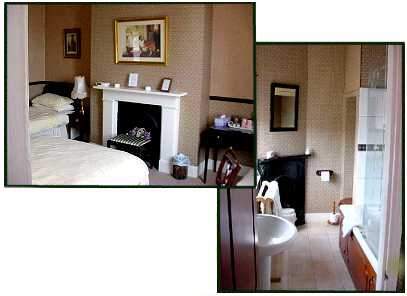 "Alma Lodge Guest House is an early Victorian semi-detached Town House. 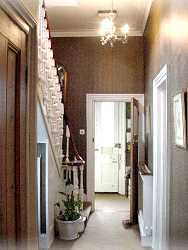 It retains many original features such as ornate ceilings and fireplaces and is maintained to a high standard." 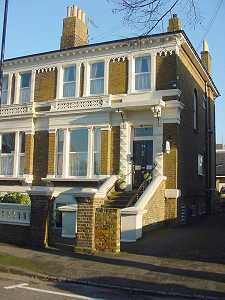 Alma Lodge Guest House is an early Victorian semi-detached Town House. 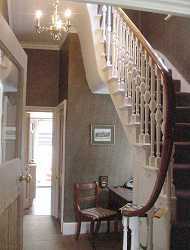 It retains many original features such as ornate ceilings and fireplaces and is maintained to a high standard. 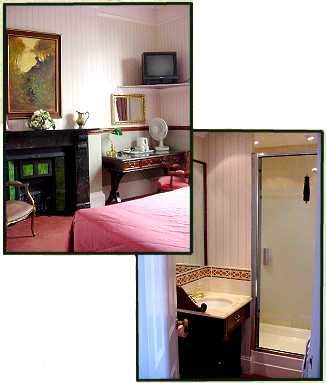 There are three letting bedrooms, all of which have en-suite facilities. The largest of which has a double bed, single bed, en-suite bathroom, writing bureau and along with the other rooms, Colour television, clock radio and tea/coffee making facilities. 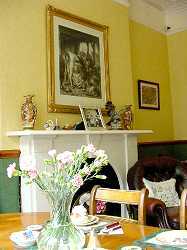 Alma Lodge has been with our family for over fifty years and so retains a homely feel. Our home is always open to friends and guests and your visit will be as welcoming and memorable as with all our other visitors. We are very much a Windsor family and can offer much advice on where to go and what to see. Windsor is a town worth a visit and apart from the Castle there is Eton College, the River Thames, Legoland, walking, bike hire, golf, tennis, plus easy commuting to London if you do not want to stay around the city. Plus there are many fine pubs and restaurants around the area to wine and dine. If this is enough to tempt you then hopefully we shall hear from you sometime in the future.